Average carbon emissions of new company cars fell to an all-time low of 126g/km between January and June this year, new figures show. Data from leasing and fleet management company ALD Automotive found that since 2003, average fleet CO2 emissions have fallen by 24%. The statistics also show the rate of reduction in emissions has improved more recently with average CO2 emissions falling by 20% in last five years alone. This has coincided with a trend of employees travelling less, with the average mileage falling from 18,500miles between July and December 2012 to 16,000miles between January and June 2013. Over the last decade, average mileage has fallen by more than 6,000miles – a reduction of 28%. Mel Dawson, Managing Director at ALD Automotive, said: “Company car fleets have come a long way over the last ten years in dramatically reducing their carbon footprint and delivering significant financial savings to businesses. Currently, more than 50% of ALD Automotive’s own company fleet are sub-119g/km vehicles, allowing employees to benefit from reduced BIK, with 7% in the 99g/km and below category. From April next year, the 10% rate will be abolished with increases of 1% for vehicles which emit between 76g/km and 210g/km of CO2, to a maximum of 35%. 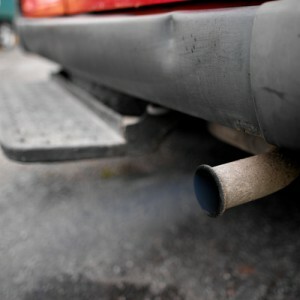 Furthermore, all large and medium-sized companies must now declare carbon emissions data in their annual reports for the entire organisation, including company vehicles.